I love belts. No, they are not just for holding up pants. 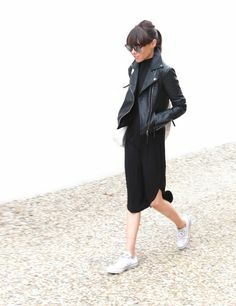 They can easily complete an outfit, and really polish it off. Exposed empty belt loops on work trousers can drive me crazy! But, if you are petite, you know as well as I do that great belts that fit aren’t always so easy to find. I don’t consider myself to have a particularly small waist in proportion to the rest of my body. I am ruler shaped, so there is no real definition between my hips and my waist, so finding belts may not be as difficult for me as those of you with even smaller waists that I do. But another issue? I’m short-waisted. 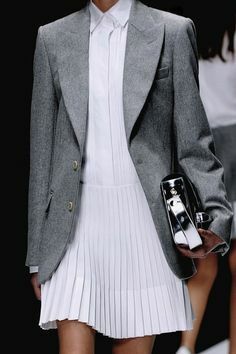 I do love the look of a belt wrapped around the waist to break up the lines and to add a little extra interest to an outfit (I do love leather obi belts), but a thick belt around my waist? My entire torso disappears and my little boy-shaped body is further emphasized. 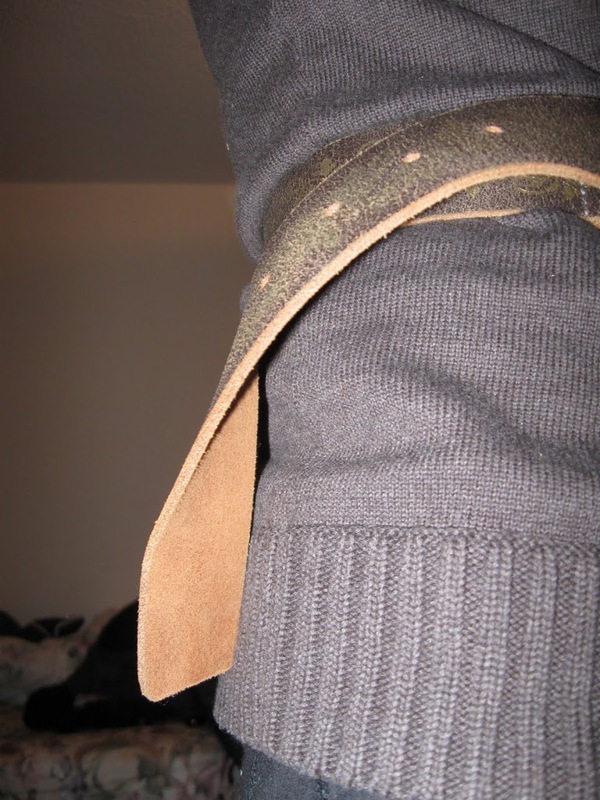 =( So rarely will you find me wearing a cinched belt. The possible exception? A skinny belt. A skinny belt will allow some of my torso to show to help maintain proper proportions. (There is a point to this rambling paragraph) But have you ever been in a store and tried wrapping a belt around your waist to see if it will fit and the belt is just too ridiculously large? There is a solution! And a pretty simple one at that. If you’ve never seen one of these before, it’s a Leather Hole Puncher. Easily found in a place like a hardware store or even on Amazon.com. Prices start from as little as $10. They are extremely easy to use. 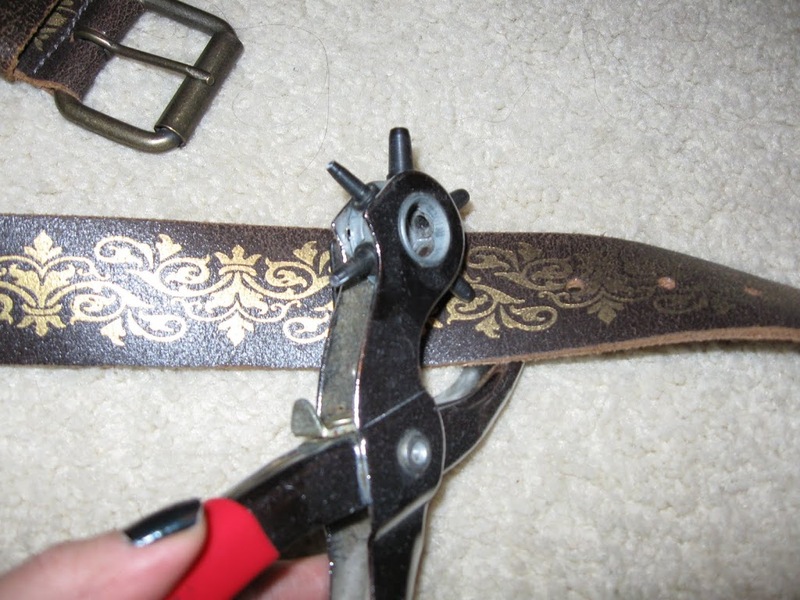 Just place the puncher where you want it on the belt squeeze the handles together..and voila! The smaller the hole you want to make, the more force you are going to need when squeezing. A tiny hole in the belt is virtually impossible for me to make! However, if you want to make the hole the same size as the others, then a medium sized hole punch will do, and it’s easy to make even if you have no arm muscles! Personally, I like to place my hole so that it is equally spaced with the others, so it is not so obvious that I’ve punched a hole in the belt myself. 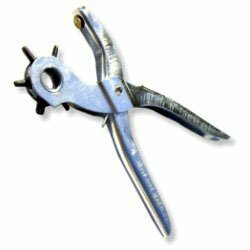 If you don’t want to spend money on a leather hole puncher, a cobbler or a leather repair person will easily do this for you for about $1 (if he charges much more, go somewhere else!). This doesn’t work too well with some synthetic belts, or fabric belts for obvious reasons. But for a leather belt, or a synthetic leather belt, this puncher works wonderfully. You can actually tuck the end in in some stylish manner, or this can also be fixed by a cobbler or leather repair person. He or she will just trim the belt at the end and then if necessary trim and seal it so that it looks finished and will not come undone. I actually haven’t tried having a belt cut and resealed, so I have no clue what it might cost, but I expect that it’s relatively inexpensive. That’s awesome! I’ve been wanting something like that but I never really got around looking for a leather hole puncher. My belts are usually braided or obi-style so it’s more adjustable, but nothing really beats a great leather belt. Thanks for putting this up…I gotta find a good one to make my belts fit better. interesting! I need one of these. I’ve been using the most inefficient tools to punch extra holes, and didn’t even know this existed for such a reasonable price.